For this article I am going to focus on one particular section of the line, between Wick and Thurso. It is an area of great beauty that I had not noticed until recently, despite travelling on the railway many times. Probably like most passengers heading north from Inverness I was getting tired by the time we reached the last stretch to Wick. I had enjoyed the coastal section, watching seals from my window. And now we were inland and it was flat and uninteresting. After 4 hours on this train I just wanted to arrive. 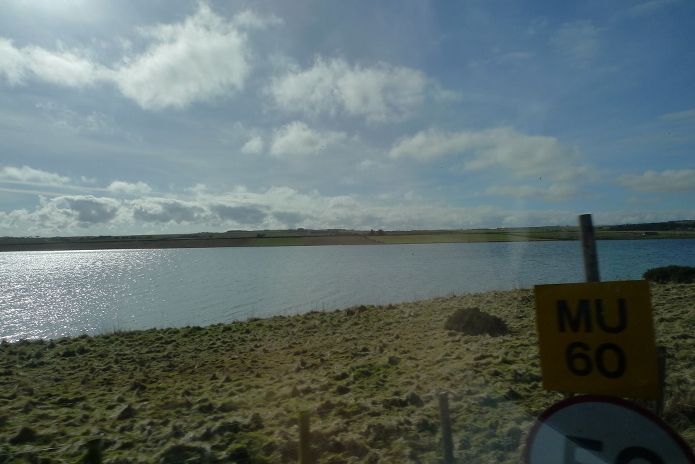 But one bright and sunny spring day I departed from Wick. I was rested and excited about the trip south. I was not at journey's end, but at the beginning and I was going to see this with fresh eyes. 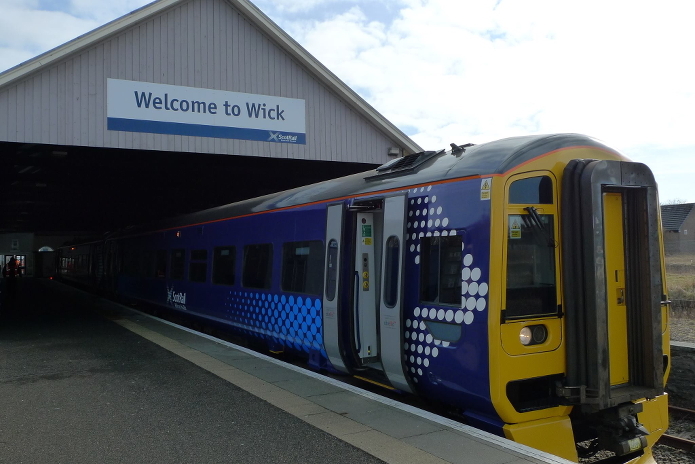 There used to be five stations between Thurso and Wick. Only one of these, Georgemas Junction, remains open, as the others were closed in the 1960s. I have always felt that there is a poetic quality to the list of stops on the Far North Line, rather like the Shipping Forecast, and these five would produce a beautiful verse if these four were to reopen. They were called Hoy, Bower, Watten and Bilbster. Some of the former station buildings, now private homes, can be spotted as the train speeds by. 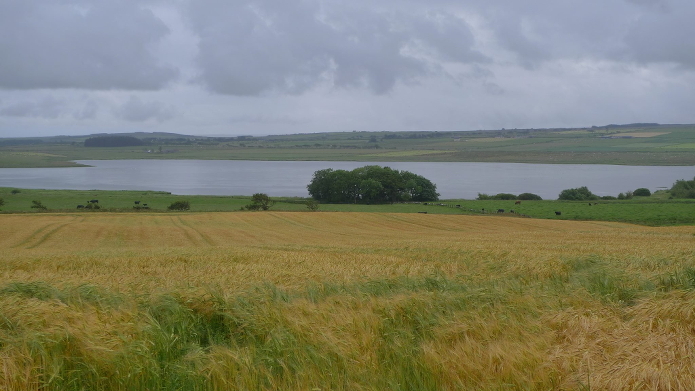 A part of the journey is alongside Loch Watten, the second largest loch in Caithness. It is almost three miles long and looks inviting on a sunny day. 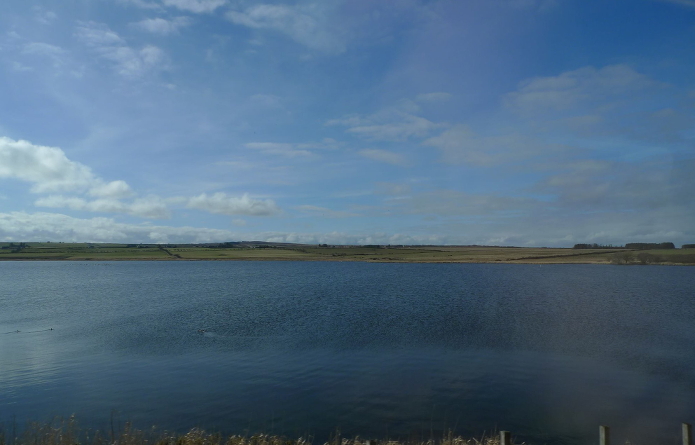 The closed Watten station was located at the eastern end of the loch and I wonder if it had been well patronised by fishermen looking to catch some trout. Scotland's mountains are stunning. They are Scotland. They bring visitors to Scotland. But endless sky is also beautiful. The people who visit Montana appreciate it. Scotland should shout about its own "Big Sky Country." So, if you ever take the Far North Line take a closer look between Wick and Thurso and let me know if you agree.